Professional contractors who run legitimate businesses, plan for the successes achieved, and can sell value before price to their customers are better customers for you. 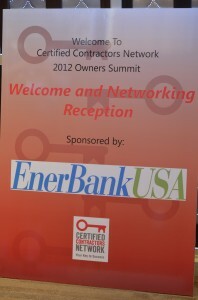 These professional contractors are attracted to Certified Contractors Network. Your participation in the sponsorship of a CCN Event will provide you exposure to your ideal customer. Attendees at our events include the business owner, as well as key sales, production and admin employees—decision makers and end users! Because of the tremendous amount of trust placed on Certified Contractors Network by its members, affiliation with the organization is an implicit endorsement of your products and services. For that reason, only sponsors that meet our quality standards are allowed to participate. 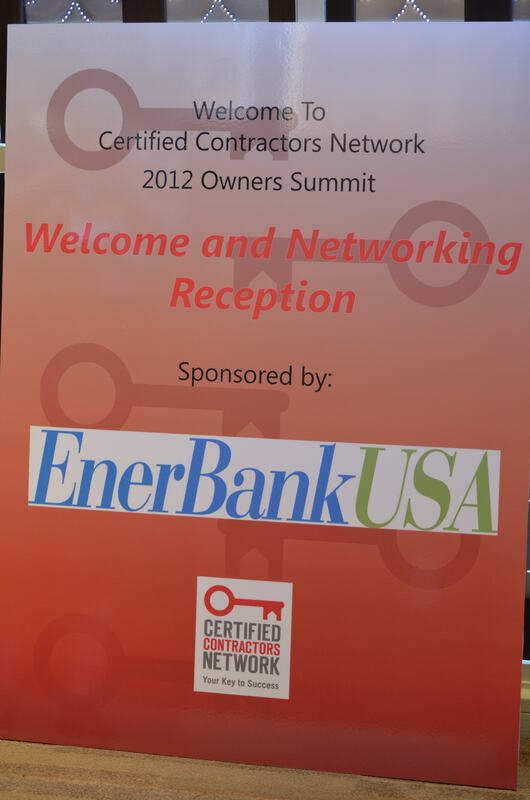 Your sponsorship of a CCN Event increases your value to the contractor by helping to provide information that is proven to improve his/her business. It’s value added service that will help you stand apart from your competition and increase the contractor’s loyalty to your product or service. Certified Contractors Network members place more value on quality education to help them grow their businesses than on fluff. Contact with member contractors puts you in front of serious business people who separate themselves from their competition by offering better quality products and services. Certified Contractors Network members pledge to uphold a code of ethics as part of their membership agreement. They understand the need to be paid in a timely manner and are themselves better customers. Please look on the Conference Sponsorships, Boot Camp Sponsorships, and Other Sponsorships pages to see more details about CCN events that offer sponsorship opportunities or contact us for more details on sponsorship opportunities. We look forward to your support and winning relationship.